Here’s a brand new iPhone 7 concept video that brings some very realistic features to the table. Maybe in the near future, Apple could include some of these features. This new iPhone 7 concept, designed and rendered by Martin Hajek and Computer BILD, features a display that takes almost all of the front. The bezels are really thin and the display’s edges are rounded. The design is similar to the current gen iPhone 6 and 6 Plus. With a thinner bezel, Apple can really decrease the overall size of the iPhone. You’ll also notice that there is no physical Home button. A software (maybe Force Touch) Home button can be found on the screen, integrated with the display. Recent rumors did suggest that Apple could start using their Force Touch technology in future products. There’s also no Slide to Unlock, instead, just a Touch to Unlock. Perhaps Apple wants us all to use the Fingerprint sensor and stop having a Passcode. At the back, the concept features a dual camera and single flash. We’re not sure if Apple will start using dual-cameras, but it certainly is possible. Although we’d love it, we do not think that Apple will include a glowing Apple Logo at the back of the next iPhone. The company even removed the glowing logo from their latest 12-inch MacBook. 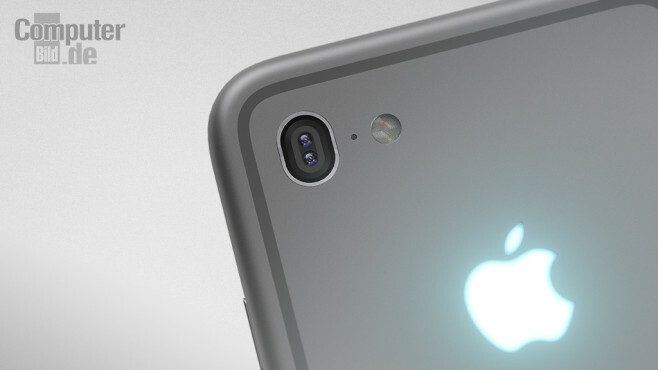 Check out this 2 minute video to see this iPhone 7 concept from all angles. 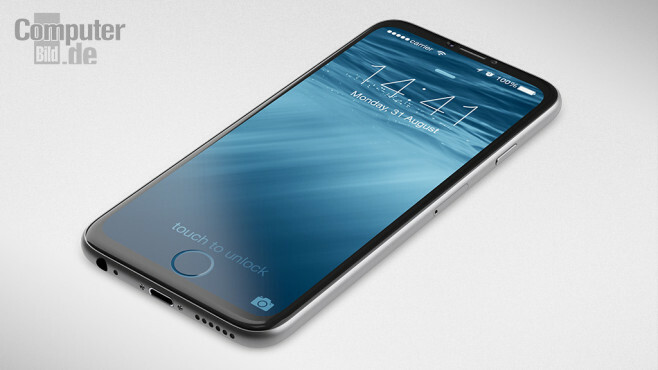 What did you like the most about this iPhone 7 concept?